Effectively communicating to all those with kids participating with Tigres is not always easy, and things can fall through the cracks – but the info will always get posted. We try to make sure whatever gets posted also goes out by email and to social media. Please take a moment to review how we try to keep you informed throughout the season. But always ask if you are ever uncertain about anything! Anything that gets posted from either a team wide announcement or something from your childs head coach, it should go to your email that you registered with, but until you are certain that emails are in fact making it to your inbox, we urge you to check VenturaTigres.org regularly! 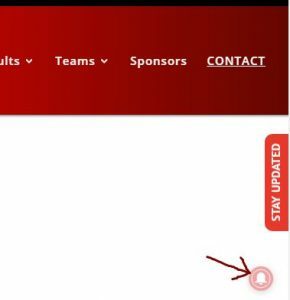 Team announcements will appear on the homepage and Individual team news from coaches will be posted to their respective page (Under Tigres News > Gremlins / Bantams / Midgets / Youth & Intermediate / Specialty Events). Again, everyone who has registered with Ventura Tigres was added to our mail campaign service (MailChimp). Using the email address used to register your athlete, you were added to the Top Tigres News articles and families with Gremlins were added to the Gremlins news families with Bantams were added to the Bantams news, etc… This inlcudes any secondary email addresses if you specified one. If you are not receiving the updates, or other members of your family wish to receive these updates – use the sidebar to the right and enter your email address in the appropriate category you wish to have updates for. At anytime you may unsubscribe but because this is a vital means of communication, we urge you not to until the season ends. We will also have links to the news stories posted: https://twitter.com/VenturaTigres — you can elect to have Twitter push those updates to you via SMS. If you have an iPhone or Android, you can add a icon to your homescreen which will act like an app with the mobile version of the Tigres website.